UMP | University of Minnesota Press Blog: Laurie Hertzel series, Part 5: When I Was ... 38, and embarking upon a new career adventure. Laurie Hertzel series, Part 5: When I Was ... 38, and embarking upon a new career adventure. When I Was ... is a monthlong series that appears on this blog on Mondays throughout September. The series, by Star Tribune books editor and author Laurie Hertzel, moves chronologically through Hertzel's early years and adventures in writing and while on assignment at the Duluth News-Tribune. You can find links to previous entries in the series at the bottom of this post. 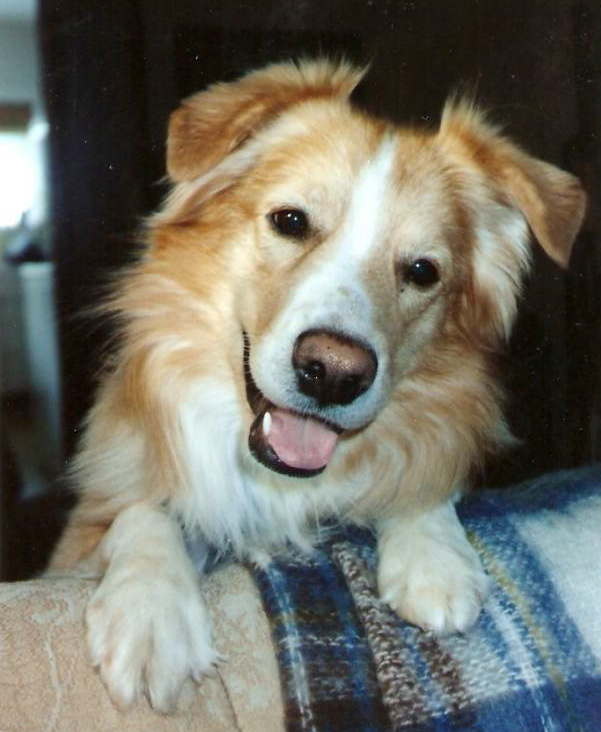 When I was 38, I moved away from Duluth, and Toby saved my life. We only made it as far as Beloit, Wisconsin, the first day. My dog, Toby, and I were headed to Columbus, Ohio, for three months, to live in the James Thurber House. I had been awarded a fellowship as journalist-in-residence, and we would be living in the attic of Thurber’s childhood home—the rest of the house was a museum, furnished much as it had been when Thurber himself lived there. My plans were to teach a summer class at Ohio State University, work one day a week as a writing coach at the Columbus Dispatch, and, oh yeah, write great literature in my spare time. Toby's plans were to hang around the house and chase as many tennis balls as possible. We had gotten a late start, and it was already evening when we started trolling Beloit, looking for a motel. I don't know what kind of uncivilized state Wisconsin is, but motel after motel said, "Sorry. No dogs." Some time after dark I pulled into a bleak-looking place just off the highway. The desk clerk told me that dogs weren't allowed, but then he took pity on me. Maybe I looked like I was going to cry (or, possibly, go ballistic). Or maybe Toby smiled his irresistible Toby smile—the one where his ears perked up and he tilted his head. "We're remodeling the place," the clerk said. "I can rent you a room on the back side, in one of the rooms we haven't gotten to yet." The front of the motel had looked reputable, if inexpensive. The back looked downright nightmarish. The isolated parking lot was rimmed by a wooded wetlands. Instead of brightly painted doors and cute curtains, these back units had ancient siding and doors that looked like a good kick would get you inside. The lot was filled with battered cars and shady-looking characters milling about. I had a feeling that this half of the motel was the half used by the drug dealers and prostitutes. Oh yeah, and the people with dogs. I hauled all of my belongings inside with me—all my summer clothes, boxes of books, Toby's stuff, everything that I was schlepping to Columbus. I would have parked the car inside the unit, too, if I could have wedged it through the doorway. The room had one lumpy bed with an orange chenille spread, and a grungy bathroom with peeling linoleum. I picked up the phone to call a friend back in Minnesota, but the phone was dead. Toby cocked his head at me. As long as we're together, everything's okay, I was pretty sure that look meant. I reached down and scratched him between the ears. It's just for one night, I said. And the night was perfectly uneventful. Even in that wretched place, I slept like a rock, exhausted, no doubt, from driving all day. I do not like driving, even in the best of circumstances, and freeway driving in unfamiliar places was stressful. In the morning, I leashed Toby up to take him for a walk, but before I could open the door, I heard a knock. From a gap in the curtain I could see a young woman standing at our door. My heart almost stopped. "Who is it?" I said. "Can you help me?" the woman said. "I need help!" Somehow, she didn't sound convincing. I waited, but she did not go away. I didn't know what to do. I didn't want to open the door. And I didn't want to let her know that my phone didn't work--although maybe she already knew that. Maybe her phone didn't work, either. Maybe none of the phones on this bleak and desolate part of the motel worked. "Can you call the front desk?" I said. “I need help!” she said again, and knocked harder. And before I could say anything more, Toby let loose with a volley of barks. He was a sweet dog, but he was protective of me, and his bark could sound ferocious. He threw himself toward the door and barked and barked and barked. Through the crack in the curtain, I could see the woman dash away. And, right behind her, a large, scary-looking man who had been standing off to the side, just out of my view. Toby continued to bark his most menacing, I-am-really-a-German-shepherd bark. I sank to the floor. "Good boy," I said. "Good boy, Toby, good boy." It was a long time before I felt safe enough to open the door and let him take his pee. Which he deserved that day more than probably any other day. And then I hastily packed up the car, and we headed back to the Interstate, and on to Ohio. Click here for more information, including a list of upcoming Minnesota reading events and links to Hertzel's website and Facebook page. You can also check out the News to Me book trailer. it was truly harrowing. but all's well that ends well. and thanks to toby, it ended well.